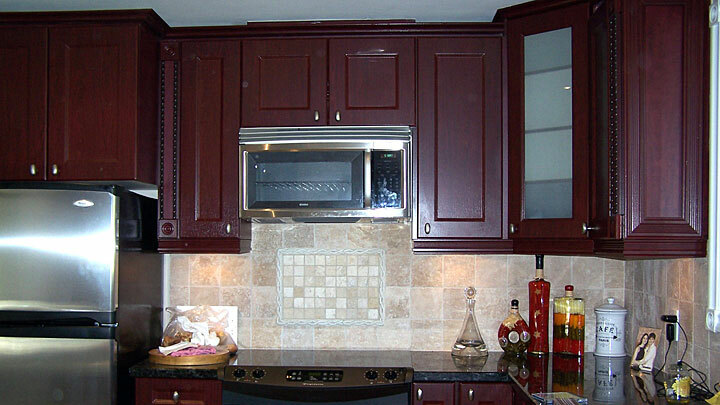 This refaced kitchen had the doors changed from white to dark cherry. The corner was altered and combined with detailed inserts to create the warm, stately look of Old World Europe. Included were end panel details as well as crown moulding and wrap around light valances, providing more Old World "wow power" without the huge price of replacing the whole kitchen.